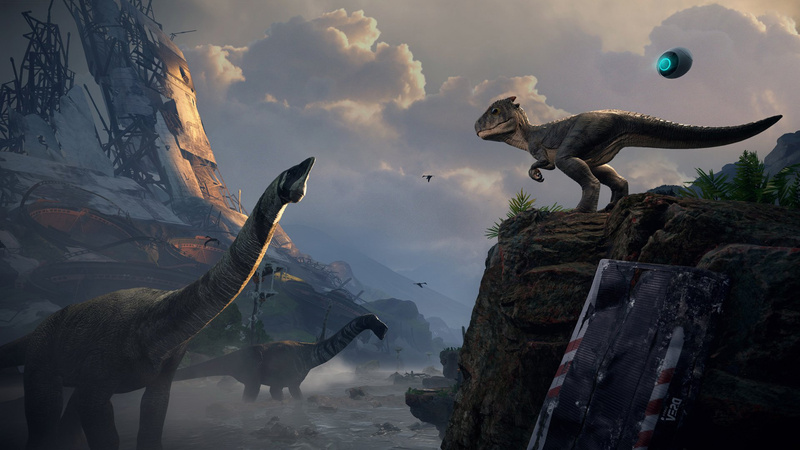 Crytek's dinosaur adventure Robinson: The Journey has the trappings of a compelling VR experience. You play as a young boy, Robin, the seeming sole survivor of a planned colonization effort on a distant planet that's brimming with exotic flora and fauna. For a first-person adventure game presented in virtual reality, that's a winning premise, one that's easy to become immersed in. It also helps that this is the best-looking PlayStation VR title to date, particularly when played on a PlayStation 4 Pro. Unfortunately, Robinson doesn't go far enough. The spectacle is there, but not much else. Robin isn't totally alone. He's got HIGS, a hovering AI caretaker hellbent on keeping him far away from danger, and Laika, a pet dinosaur who may one day pose a serious threat as an alpha predator. I have to commend Crytek for its storytelling. Rather than crawl through every tidbit and introduce these characters and this world exhaustively up front, it starts on an average day in Robin's life, allowing you to pick up more world-building details on your own time (or not at all). He's already living out of a little encampment built around a drop pod when you step in. There's a sustainable source of food and energy, barriers to keep stray pests out, and an adorable and mostly obedient pal in Laika. But this can't last forever. Robin is surviving, sure, but he isn't thriving. He's desperate to learn what forced the space station Esmeralda out of orbit and to find other potential survivors. So, off we go. Surprisingly, this isn't a PlayStation Move game, despite the floating hands and the PS Move-looking gravity device you'll wield to lift heavy objects and to scan the wildlife. You'll play using a standard gamepad to walk around, walk some more, climb walls, and solve light environmental puzzles. Robinson is all about the sights and sounds, and on that front, it's successful. You'll dangle above a pit, climbing monkey-bar style one hand at a time as a pterosaur flaps its huge wings nearby. 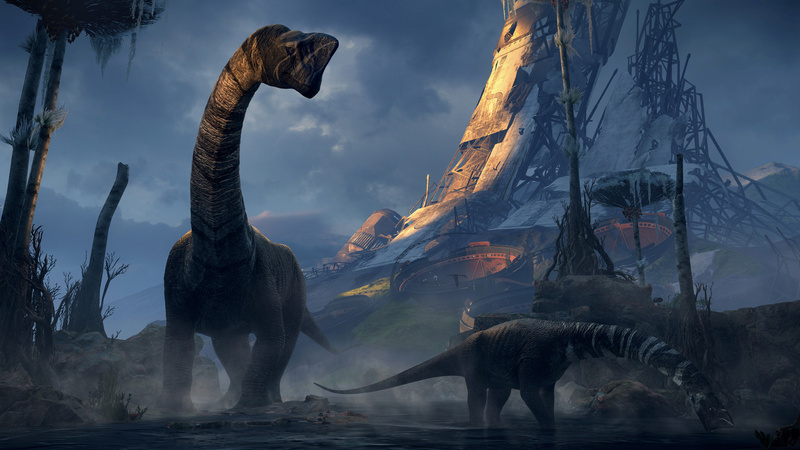 You'll journey to tar pits, plopping down scrap-metal bridges and helping a young longneck get unstuck. 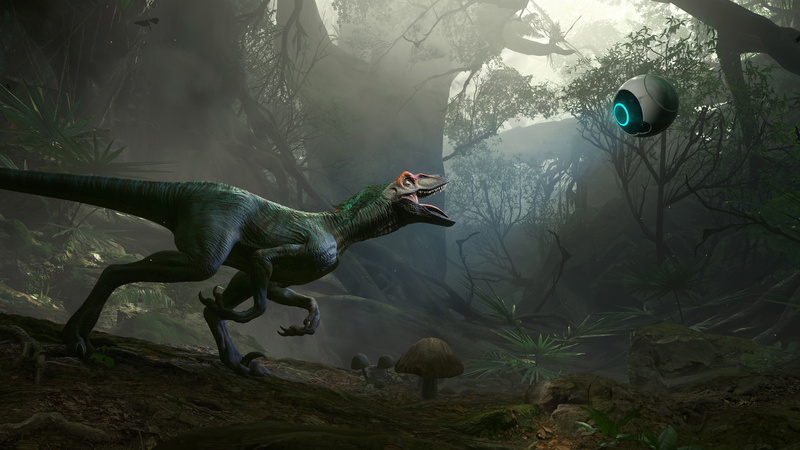 You'll sneak around raptors and, more likely than not, be spotted at least once. Sheer terror and panic will wash over you as you become utterly frozen in place until you come to, remembering that this is only a game. Aside from those and other effective moments, you'll either be solving puzzles or walking to them. Occasionally, you'll go into an elevated view of the world, looking down on the area you've been exploring in staggering detail only to... route and reroute energy so that it's correctly dispersed across a power grid. It gets old. Otherwise, it's a whole lot of unsatisfying "lift this specific object over to that specific area (in the exact way the developers intended)." There's rarely if ever that a-ha moment. The actual alien world exploration, though? It's a strong pull. I only wish there were more of it. Robinson could probably be cleared in an afternoon if you knew where you were supposed to go at all times (the signposting is inconsistent at best) and if you could handle playing in VR for that long without succumbing to motion sickness. 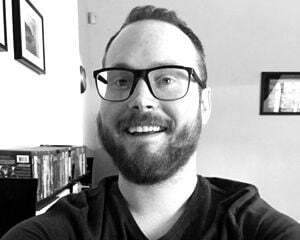 I felt discomfort during my first two short sessions, but never again, though eventually switching over to a PlayStation 4 Pro might have helped to some extent. Robinson shines on the Pro. Without getting too technical, the visuals outside of your immediate vicinity aren't so blurry, the textures and lighting look nicer all-around, and there's far less of a pop-in effect. It's a better-feeling, more believable experience compared to playing on the standard PS4. This is a game I was so ready to fall in love with, but it ultimately comes up short. After a couple of hours, I began to wonder, "Is this it? Dinosaur planet sight-seeing?" Basically, yeah. And at its high price point, that's going to be a tough sell. 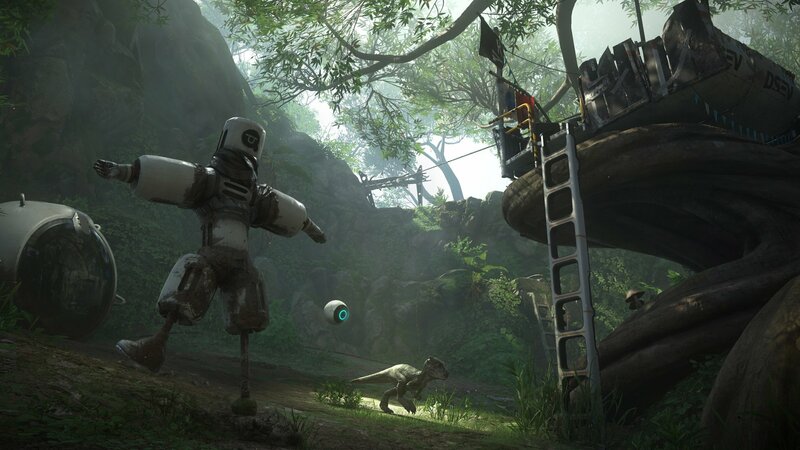 But Robinson is doing things no other PSVR title has been able to accomplish, visually speaking, and for that reason alone it'll be worth considering down the road.